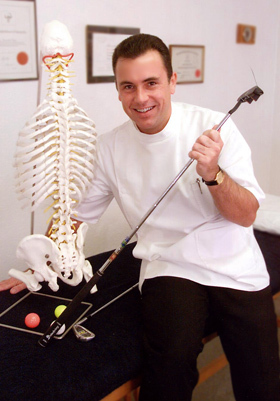 You can see an experienced UK Registered Osteopath using recognised techniques to help relieve your pain and return you to full fitness. We have been in practice locally since 1985 and are recognised by all the major insurance companies ( also on GP referral if necessary ) All our Osteopaths are fully trained, considerate and very experienced. Full member of the General Osteopathic Council. Former registered expert witness for the Law Society. Registered Consultant for BUPA, PPP. Emily Davies qualified with a Masters degree in osteopathy from The British School of Osteopathy, Europe's premier osteopathic university. She has travelled all over the World and was chosen to work in the Victoria University clinic in Melbourne Australia treating a diverse range of conditions. Apart from being a popular and experienced Osteopath she is also a qualified laser therapist, using our state of the art laser suite to help our patients with a wide range of musculoskeletal conditions. Although back and neck pain are the most common conditions she treats she also is experienced in treating knee, shoulder, elbow, and many more conditions. 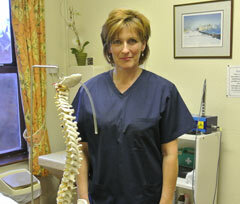 She works full time at all of our surgeries and helps patients with back pain in Stockport, Alsager, Nantwich and Crewe. Back pain help and Neck pain treatment is what she is best known for. 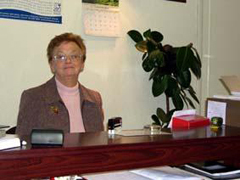 Anne returned to the UK and initially trained and qualified as a Sports Therapist and Personal Trainer, whilst also qualifying in body and sports massage. 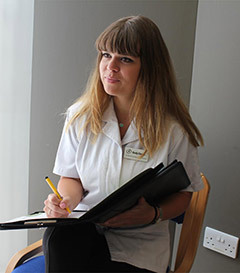 A year later, Anne started studying her five year degree as an Osteopath, mixed mode, which allowed Anne to continue working whilst studying, graduating in 2004 with a BSc(Hons) in Osteopathy. 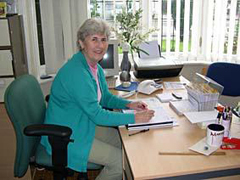 Since then Anne has completed many postgraduate courses over and above her mandatory continuous professional development(CPD). She has completed courses in Cranial Sacral Osteopathy, Bio-Dynamics and acupuncture and is also a qualified ultrasound and laser therapist. 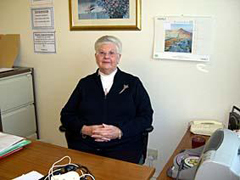 She has also done voluntary work with the Osteopathic Childrens’ Clinic (OCC) in Manchester, gaining valuable experience treating babies and young children. 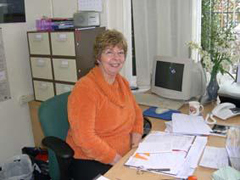 Overall, Anne’s varied background, professional training and post graduate experience has provided her with an in depth knowledge, enabling the diagnosis, treatment and specific rehabilitation of the body. 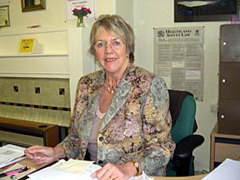 She is a registered provider for BUPA and many other private healthcare companies. 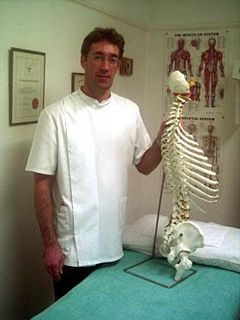 Adrian Bricknell although a fully qualified Osteopath has also worked for 8 years as a sports therapist. 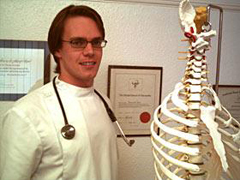 He brings his unique skills to Martin Davies Osteopaths to further help their work with both professional and amateur sports people. In their work treating all manner of sporting injuries including several premiership football teams, Adrian brings an extra area of expertise to the team of experienced Osteopaths and physiotherapist. 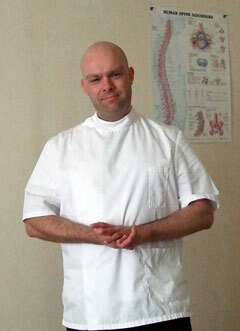 Adrian enjoys meeting patients of all ages and backgrounds as an Osteopath, and draws upon his experiences with sportsmen and women to help him accurately and effectively diagnose and treat the types of strains and injuries that all of us pick up at work, at home, and throughout our everyday lives. Adrian also enjoys working in partnership with patients who are experiencing more serious long-term physical and health issues, and who want to work together with a primary physical healthcare professional to form strategies to manage and control their own symptoms so that they can enjoy a full and active life. When he is not working with patients or involved in professional development activities, Adrian loves to spend time in the outdoors; especially walking and mountain biking, and enjoys watching all types of sport. Roy practices osteopathic techniques with the inclusion of holistic principles to ensure a rounded approach to clinical application with the appreciation of the totality of patient health. He is also a qualified and experienced Sports therapist with a personal experience of participating in many sports at the highest levels. For the past 10 years, apart from a few injuries roy has enjoyed weight training four/five times a week and has also tried Gliding, parachuting, and running the New York marathon.